Tropicanna Cookies from Oni Seed Co is the most unique and special marijuana seed from this seed bank. It is created from the cross between a Girl Scout Cookies Forum and a Tangie. The result is a fabulous cannabis hybrid, "the Crown Jewel in the Oni Kingdom," much appreciated on the world cannabis scene and that we now have the opportunity to enjoy. Tropicanna Cookies is characterized by its intense and pronounced flavor of sweet orange and cinnamon. 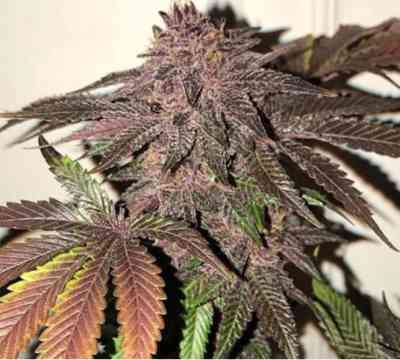 It is a plant of deep purple color, its buds are full of resin and loaded with aroma, as never seen before. If you want to make high quality hashish concentrates, Tropicanna Cookies is the variety with the best aroma and color for it, it does not disappoint anybody!